And more Pandora “treasures” – Riddikulus! January 23, 2016, updated January 30, 2017. A major investigation and interdiction program lasting over two months in 18 countries has had very small results . 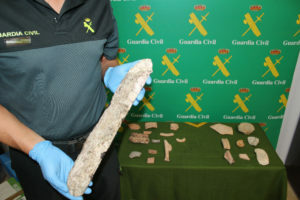 Press releases issued by Europol and the Spanish police state that the multi-country Operation Pandora resulted in seizures of 3500 items, about half of them archaeological. The photographs accompanying the highly publicized announcement, presumably a sampling of the most interesting items, show many heavily encrusted coins, a variety of ceramic shards, a common Islamic period ring, and 500 items stolen earlier from a Spanish museum in Murcia, mostly medieval Spanish coins. Greek police have found a fragment of a marble Ottoman tombstone, an eighteenth century painting of St. George, and “two objects from the Byzantine era,” hardly noteworthy objects. Similar items are found in many EU antique stores and flea markets. Police say these are the results of searches of more than 48,000 individuals, 29,000 vehicles, and 50 vessels. 75 arrests resulted from the operation, though the press releases do not state for what crimes. It helps that law enforcement is on the job and alert to smuggling of illegal antiquities, and hopefully this will send a message that discourages looting. Operation Pandora involved customs, police and investigators from Austria, Belgium, Bulgaria, Bosnia and Herzegovina, Cyprus, Croatia, Germany, Greece, Italy, Malta, Netherlands, Poland, Portugal, Romania, Serbia, Spain, Switzerland, the United Kingdom, and particularly police in Spain and Cyprus. The operation was supported by EUROPOL, INTERPOL, UNESCO and the World Customs Organization (WCO). The operation also included seeking out suspect items on the Internet, then making seizures and arrests. Police noted that they focused their attention on items coming from “war zones.” If anything, the paltry results from Operation Pandora show that there is not an active European trade in antiquities coming from the Middle East, nor did it provide evidence of association with terrorist activity. 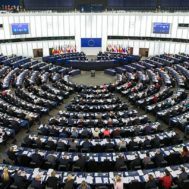 The timing and intensity of the announcement of “major seizures” is suspect, given its delay by a full two months after completion of the operation. A major campaign is ongoing in the US and Europe that relies on claims of terrorist association with the art market – so far unproven. Given the paucity of the finds, this may be another example of the fake news about billions of dollars in “cultural racketeering” or about antiquities from Syria and Iraq funding terrorism. 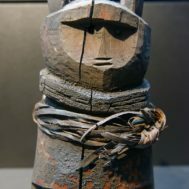 Such tall tales are currently being touted by anti-trade activists in support of proposed European Union regulations that will make the legal trade in ancient art impossible to continue. (For more nuanced and realistic analyses, see The Real Value of the ISIS Antiquities Trade, by Ben Taub in the New Yorker or Inside ISIS’s Antiquities Trade by Fiona Rose-Greenland.) 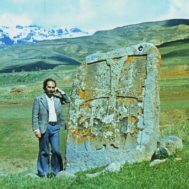 Couldn’t the funds for this 18-country operation have been better spent supporting restoration and preservation efforts or guarding archaeological sites, not only in the Near East, but also in the countries participating in the police actions? Most experts agree that countries should take steps to protect heritage before it is damaged or stolen. Having boots on the ground (even by volunteers) appears to be more successful in discouraging looting and ensuring that cultural heritage is safe. Yet Greece, one of the countries that participated in Operation Pandora, has recently withdrawn funding for protection of some of its own major archaeological sites. Image: Interpol, Operation Pandora, Europol and Spain’s Interior Ministry. In January 2017, Polish police participating in Operation Pandora, billed as a massive Europe-wide crackdown on illicit antiquities smuggling, announced that they have seized and secured the pictured “artworks and cultural artifacts” above. Among the 75 people detained throughout Europe was a Polish man from Poznań, in western Poland, suspected of using a metal detector. The man failed to get approval from City Hall for his treasure hunting, which is legal in Poland, but only with permission. The Polish police seized 1000 items from his home. These are among the 3500 total items said to have been seized in Operation Pandora throughout Europe. 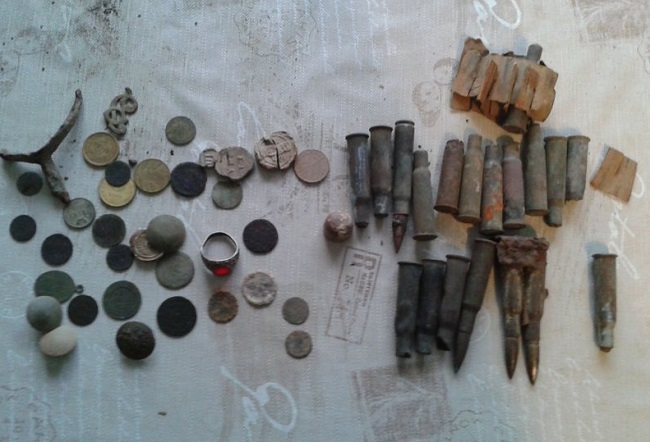 Polish police said the artifacts were important to Poland’s cultural heritage and urged other European police to inform them if any other items from wartime Poland are located.